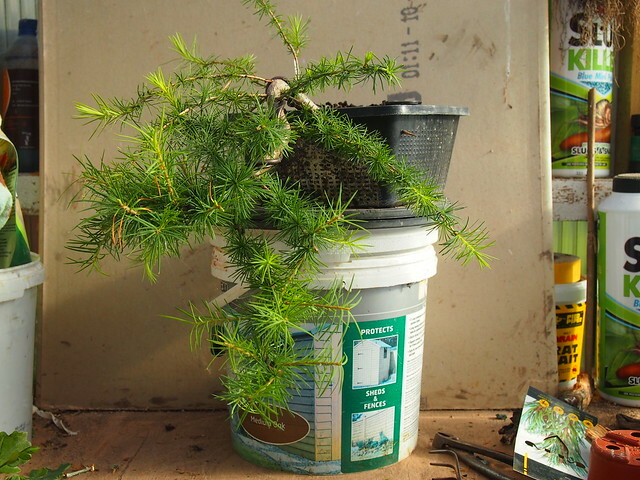 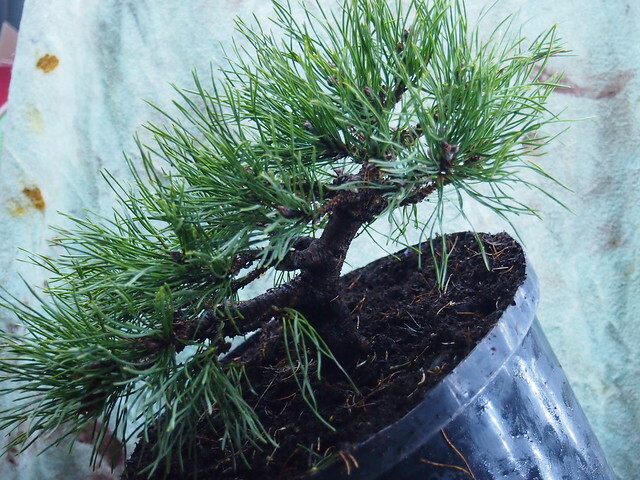 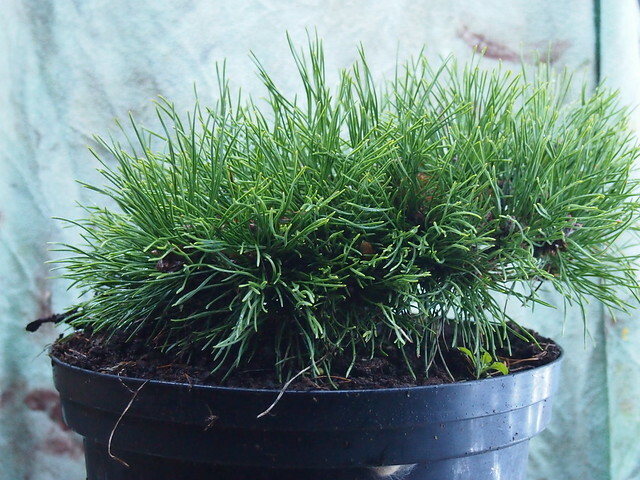 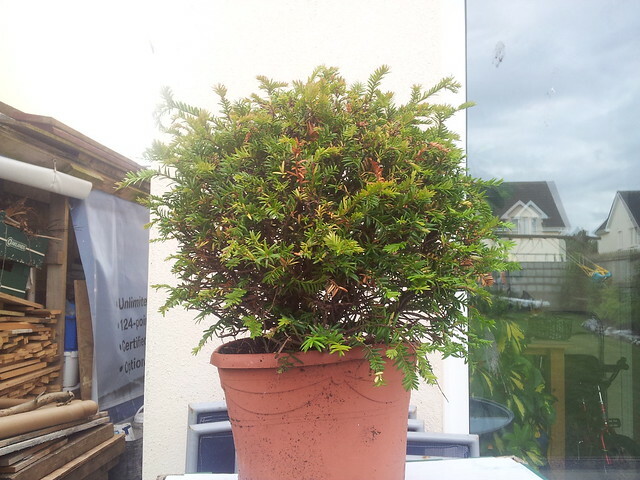 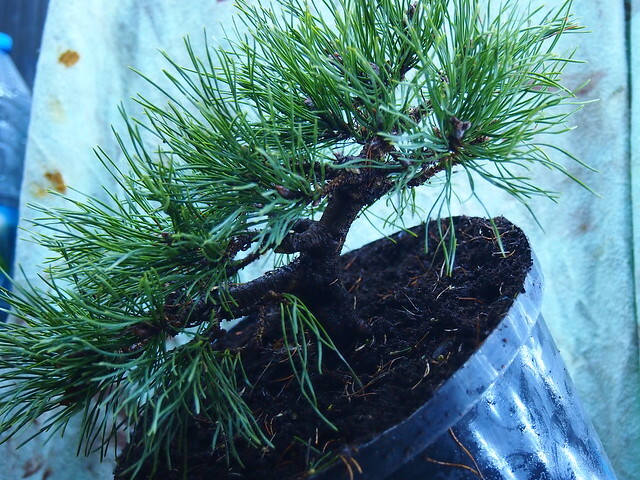 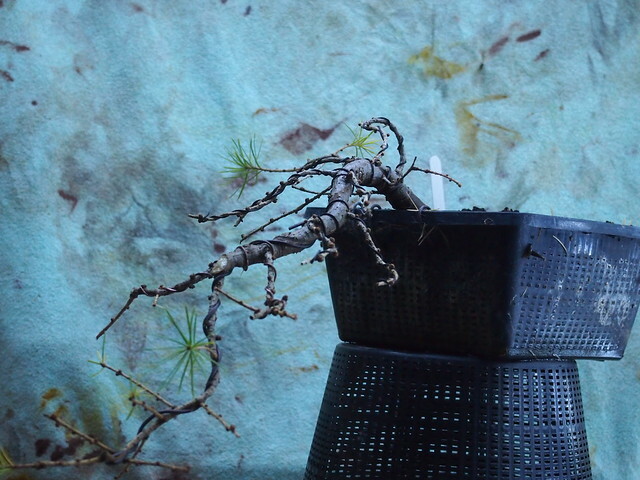 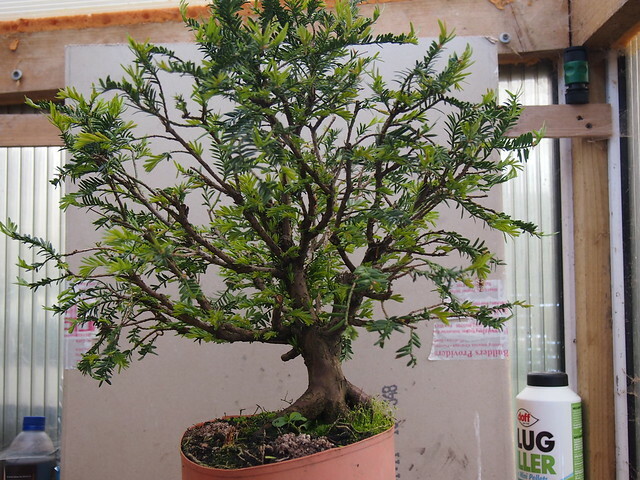 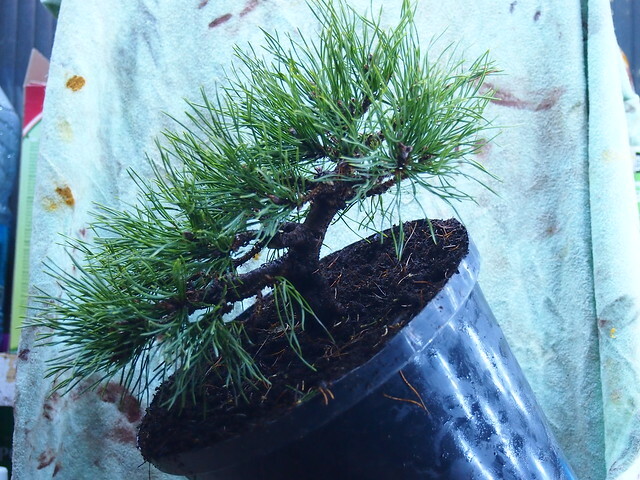 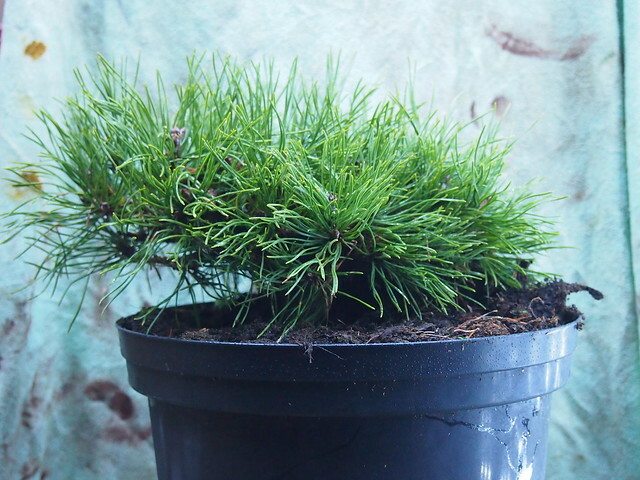 I acquired this mugo pine last week do not know variety but it is the very dwarf ( I was told ) It is grafted to some other pine ( Scottish I think ). 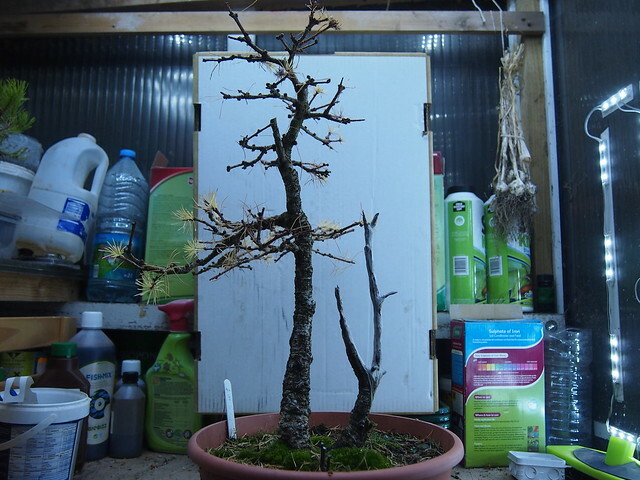 Here we have some pictures of first initial clean up and pruning. 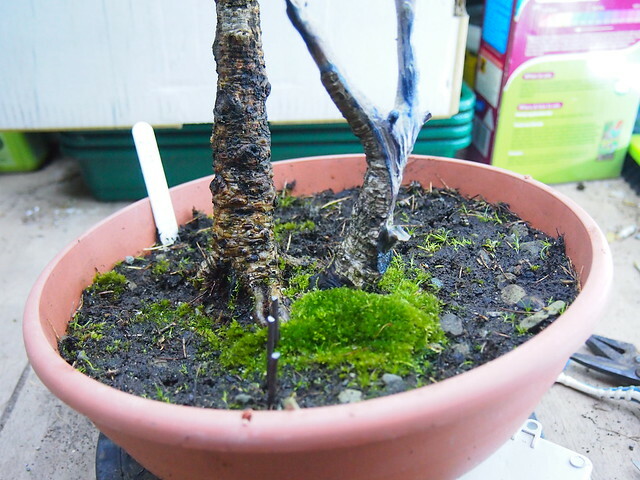 Next spring I will re=pot it, and then work on ramification. 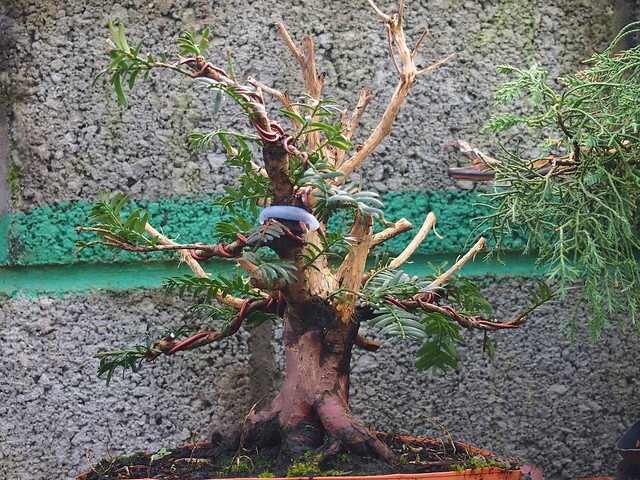 It is the future full size tree already. 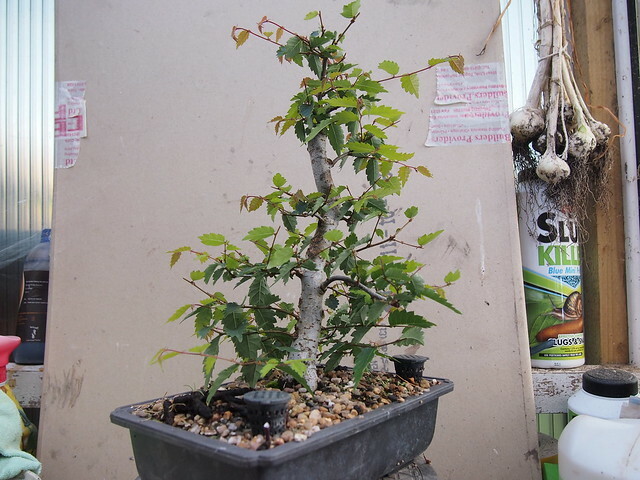 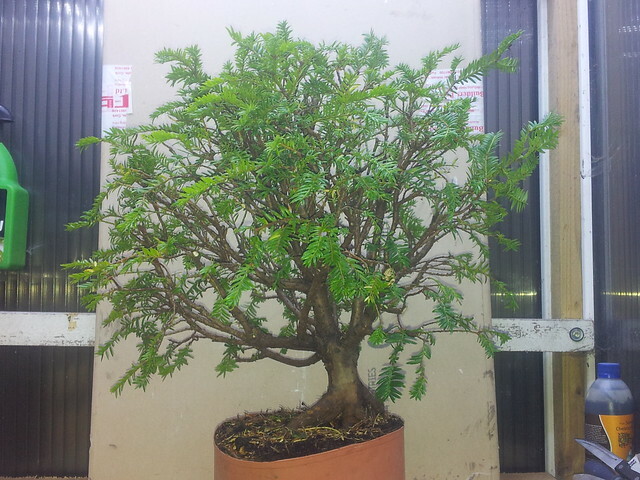 I think it will make nice shohin tree. 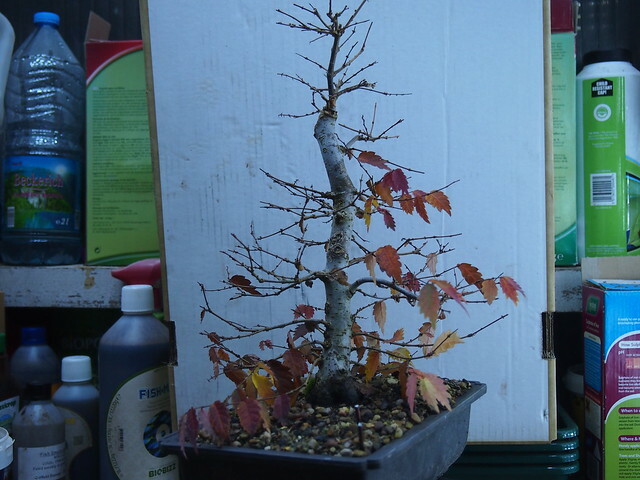 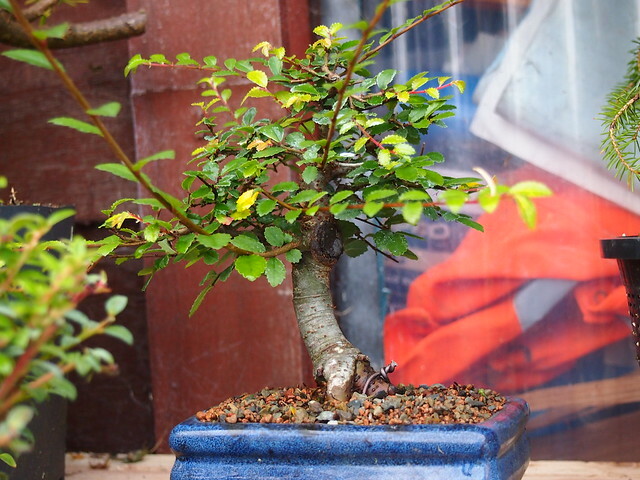 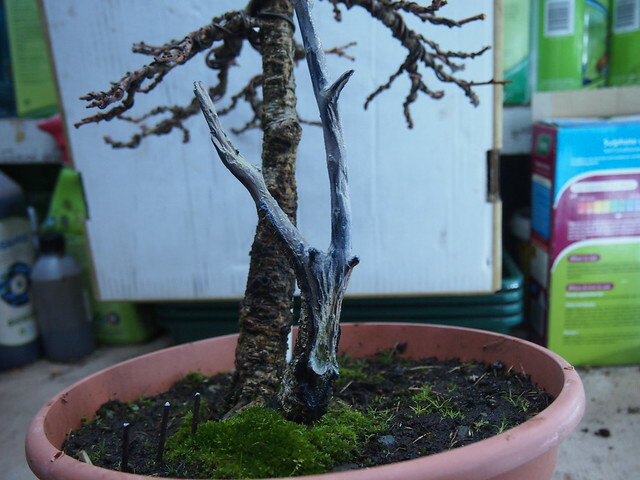 This is update to one of my first collected trees. 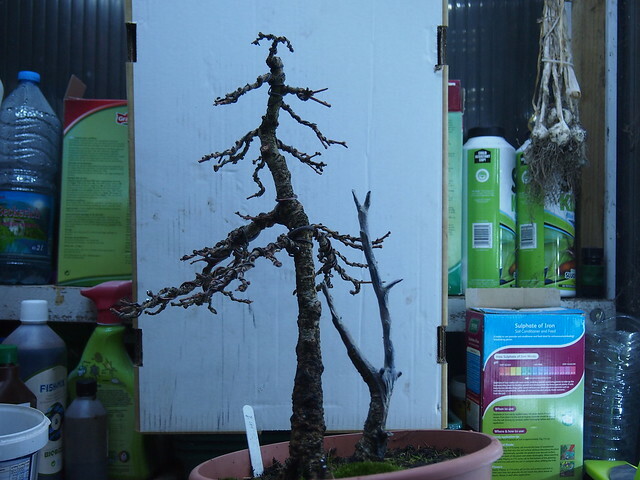 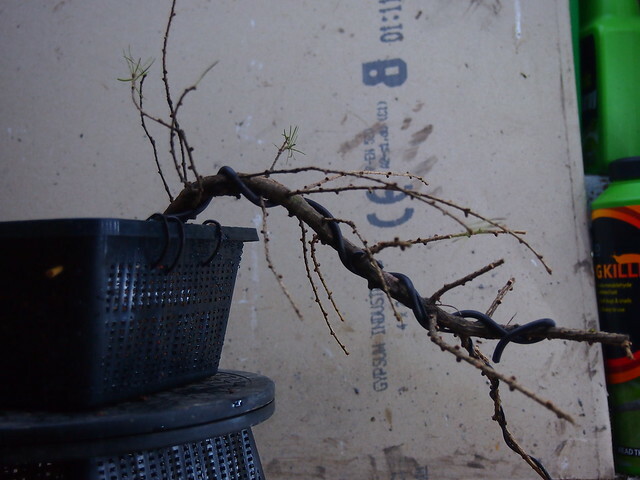 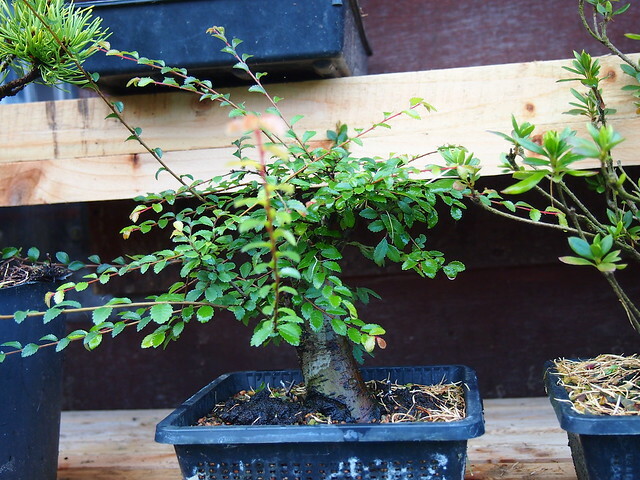 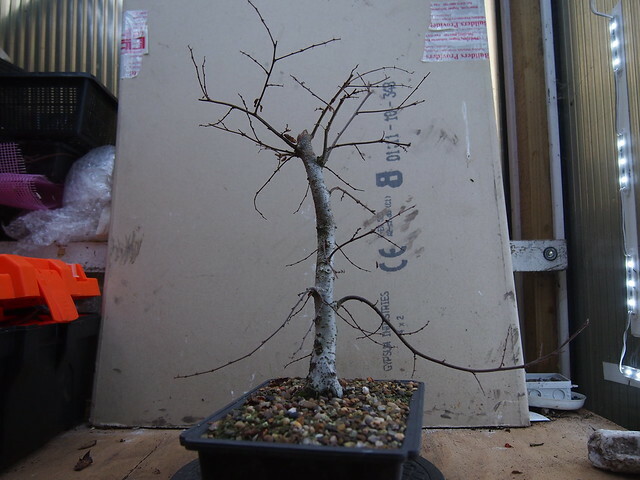 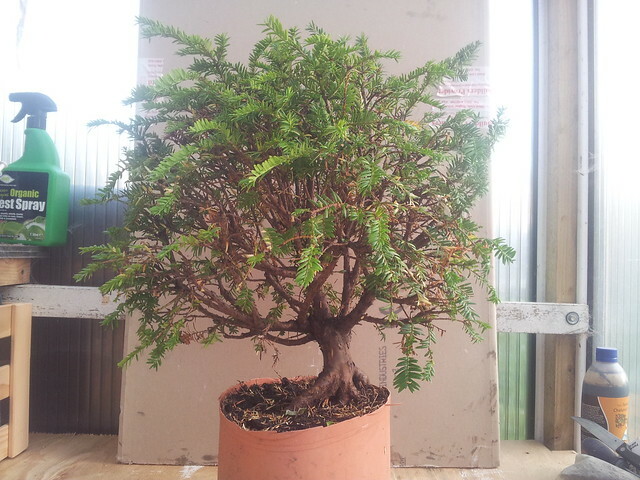 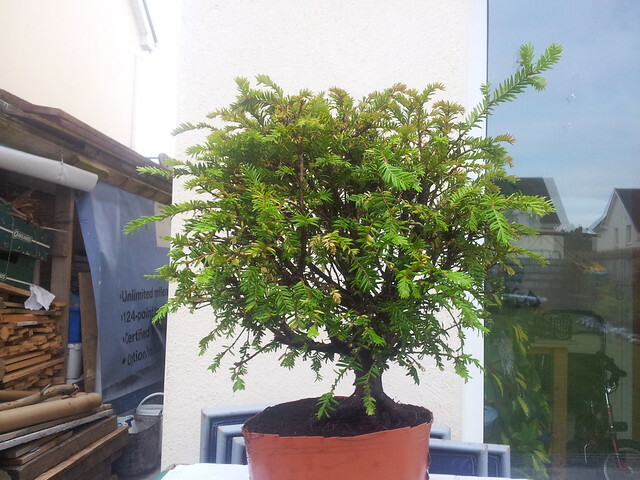 Japanese larch collected from wild. 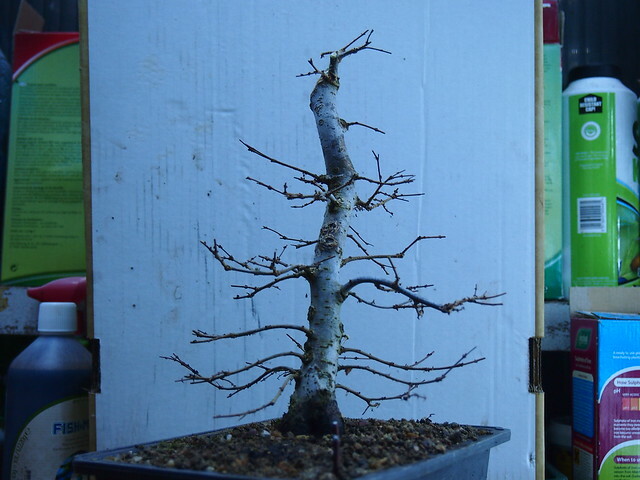 as needles has been drop off it is time to clean up, cut of what is not needed and wire for branches set.